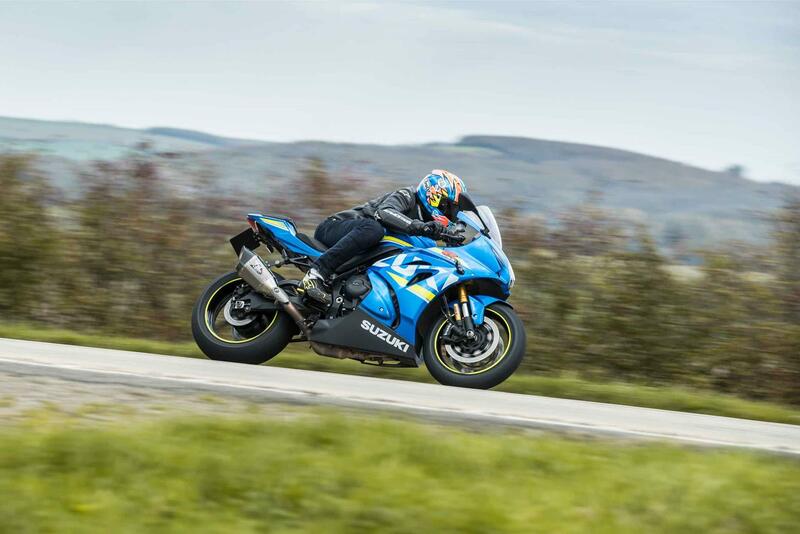 After 11,000-miles, four sets of tyres, a new chain and sprockets, two oil and filter changes, six trackdays and trips to Mettet, the Nurburgring and Aragon, it’s time to say goodbye to my GSX-R1000R. 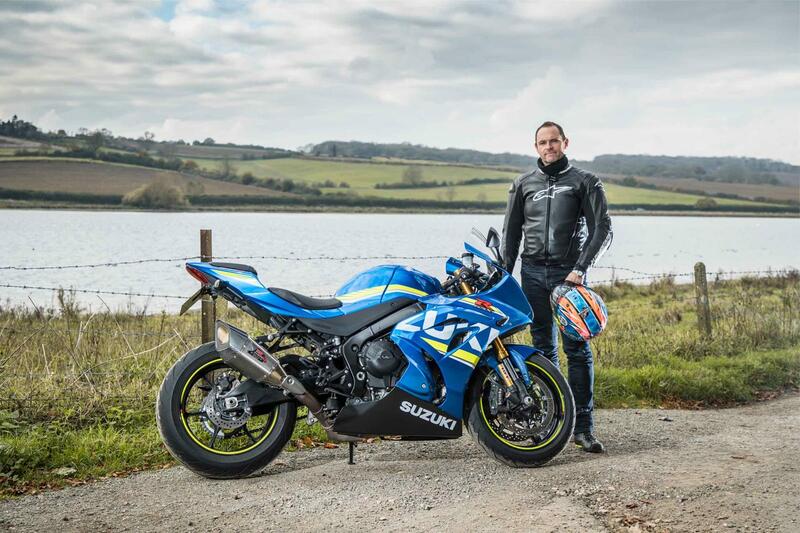 I’ve also tested the new GSX-R at its Phillip Island launch, again in MCN’s superbike shootout, the non-R-model and race versions, including Richard Cooper’s Superstocker and Michael Dunlop’s TT-winning superbike. 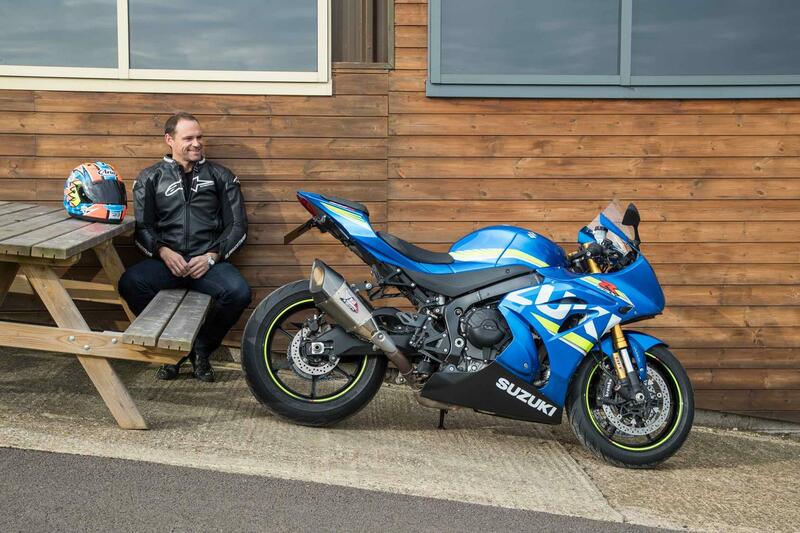 It’s fair to say I’ve got to know Suzuki’s new superstar pretty well. 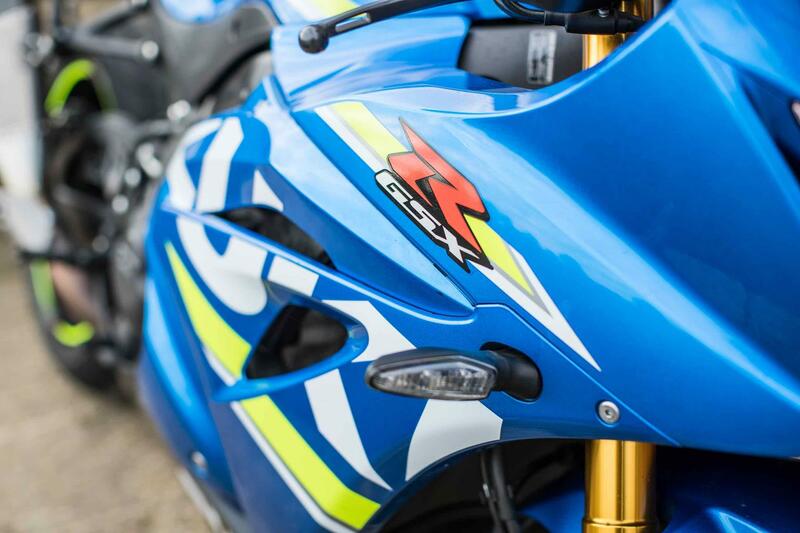 As a dyed-in-the-fleece Gixer fan, I was really looking forward to the first properly new GSX-R1000 in years. As an 18-year old my first big bike was a GSX-R750J Slingshot, I ran and raced a GSX-R1000 K5 in ‘05/’06 and had a GSX-R750 K8 and L1. This new one is ‘Gixer’ to the core and doesn’t disappoint. But before we go on, lets first look at what isn’t so good and most of that happens on track. 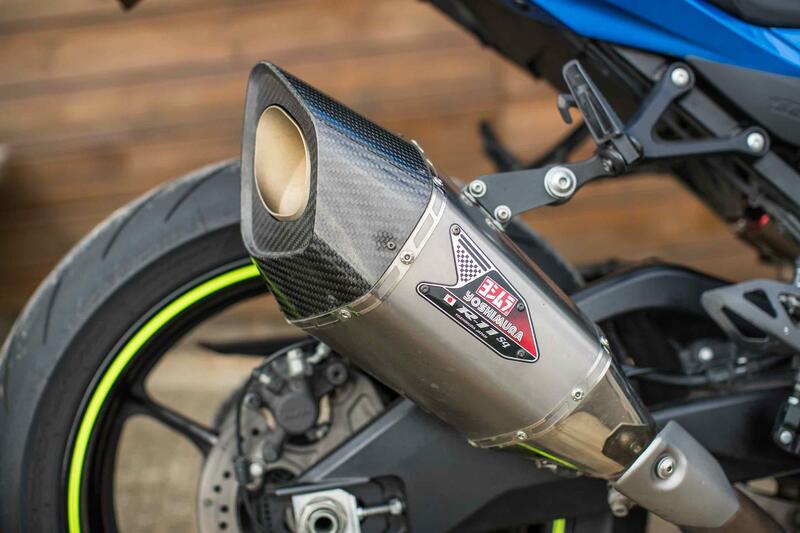 Everything the GSX-R1000R does through and out of corners is inspiring. 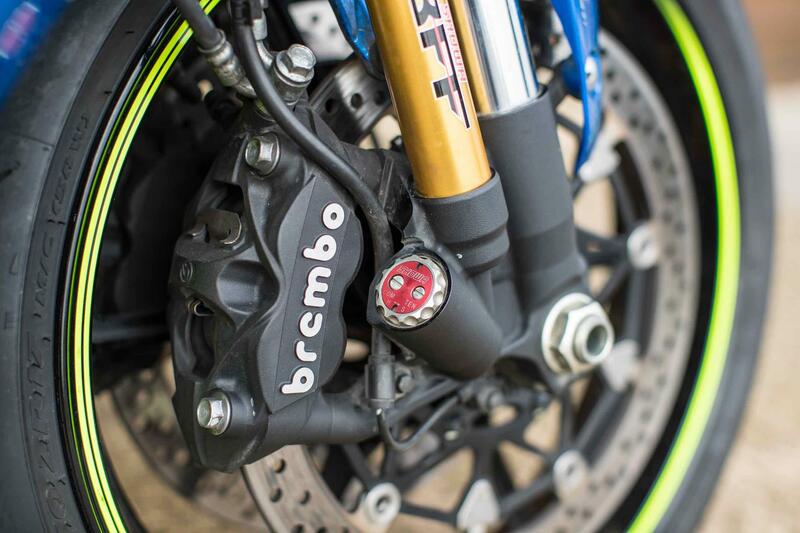 Power is rich and relentless, steering pin-sharp, electronics are perfectly metered and there’s lots of feeling for grip. But on the way into bends things aren’t as good. 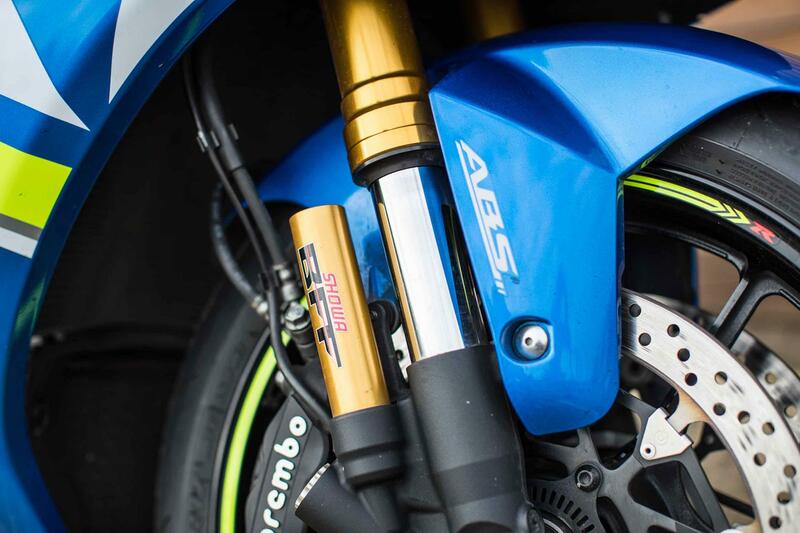 Brakes fade after a few laps, which GSX-Rs have a habit of doing and the new-generation cornering ABS cries wolf long before its ever needed, so you sail past turn points, not being about to stop, with your heart in your mouth. Occasionally the autoblipper occasionally blips when you don’t want it to, even with your foot away from the gear lever, which adds to corner entry drama. It only used to happened on track, but now it’s starting to do it on the road, too. 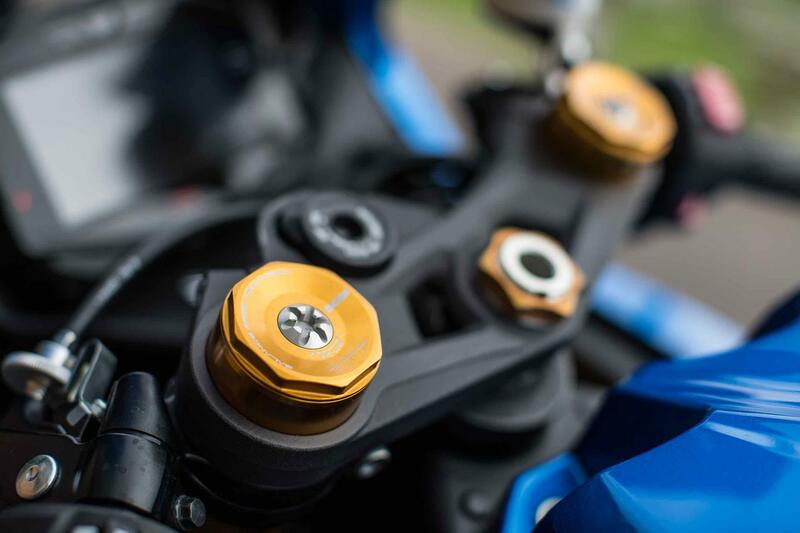 Even with its Hilltop Motorcycles remap and Yoshi end can the power delivery from a close throttle is still too abrupt, there’s no dirt-busting rear hugger, or a remote shock preload adjuster to prevent C-spanner related injuries. 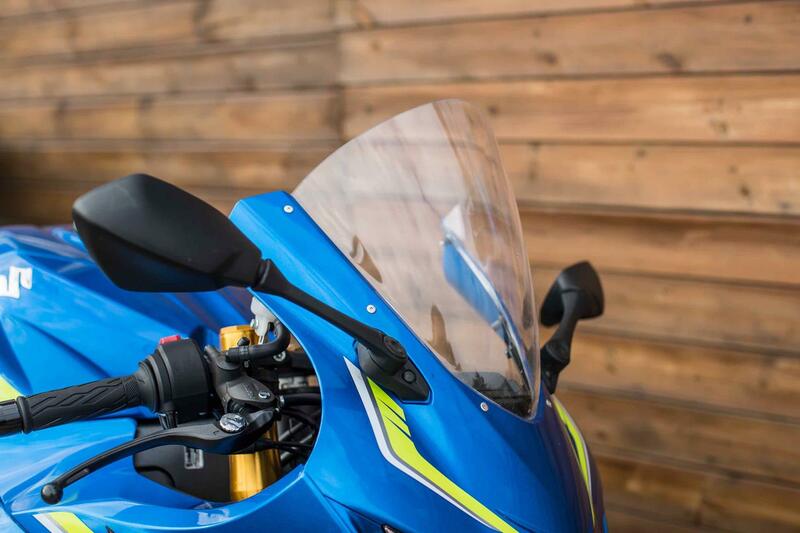 Build quality is robust, but the paint finish is merely river, not ocean deep and on par with GSX-Rs of old. Those quirks aside, my Suzuki is hard to fault. After a 2500-mile round trip to Spain last month, I can’t think of a comfier sportsbike and I love the easy grunt that spills from the new VVT motor, the 160-mile tank range when you’re riding normally, the handy ‘miles ’to-go’ fuel counter, self-starter, ice-white LED headlights, illuminated GSX-R logo on the dash, its easy handing, gruff engine note, plush Showa suspension and the tall, wind-cheating Skidmarx screen I’ve fitted. 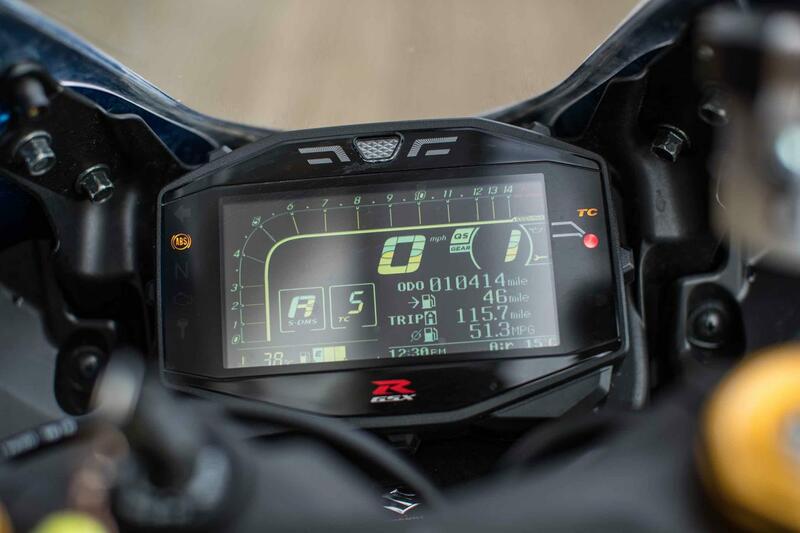 Mind-boggling algorithms inside the ECU provides adjustable traction and wheeile control, giving you the perfect amount of hospital food-prevention without getting in the way and it can all be turned off on the move when you want to have fun. 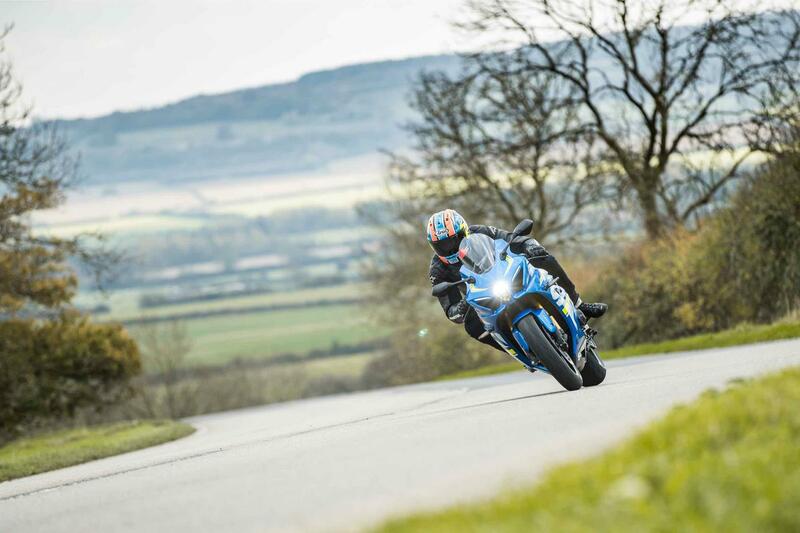 The new pop-and-bang-tastic quickshifter and auto-blipper are a joy to use on the road and the cornering ABS will be a lifesaver one day. 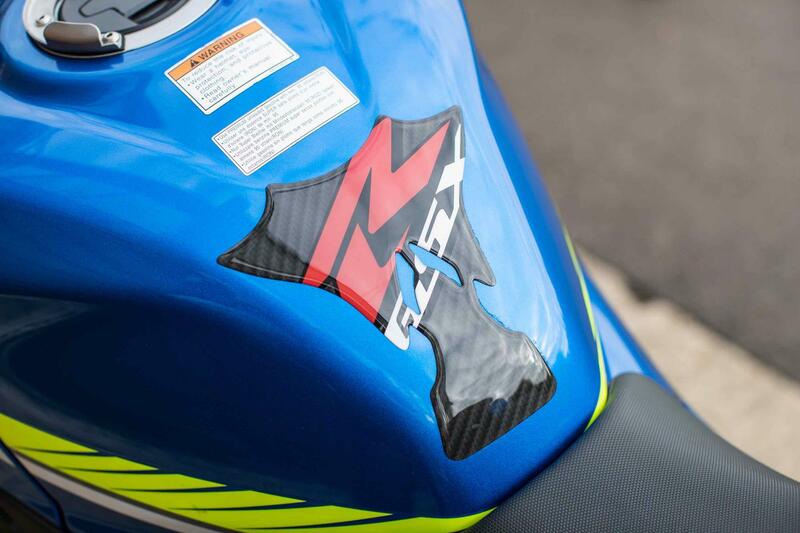 I’ll be sad to see it go, but it was fun to spend life back in the GSX-R fast lane once again.